The Huskies have had more staff turnover at wide receiver position than any other in Chris Petersen's tenure. Chris Petersen already had more turnover at the wide receiver coaching position than any other spot on his Washington coaching staff. Now he is looking for yet another new coach at the position. 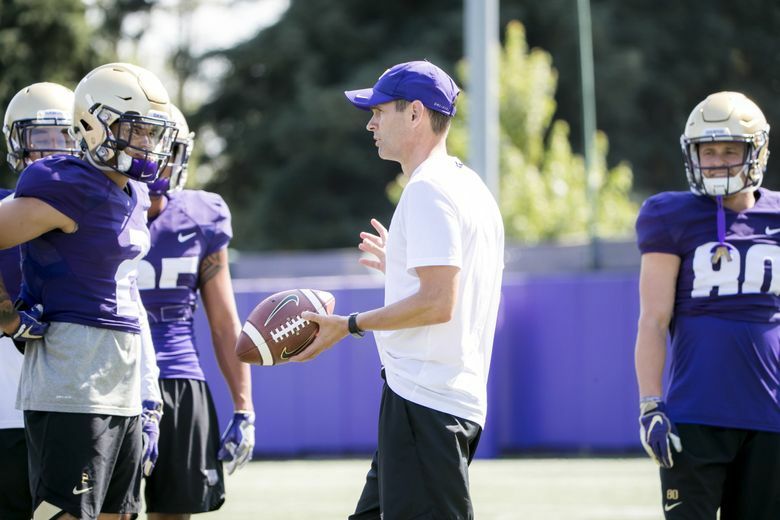 Matt Lubick, the Huskies’ receivers coach and co-offensive coordinator the past two seasons, is leaving the coaching profession, a source confirmed Monday morning. Bruce Feldman of FOX Sports first reported Lubick’s move. Shortly after the Huskies’ 28-23 defeat against Ohio State in the Rose Bowl last week, Petersen promised the UW offense would be “fixed” this offseason. Is Lubick’s departure the fix? Could more changes be in store? Lubick’s departure comes the same weekend the Huskies struck out on five-star wide receiver Kyle Ford of Orange, Calif. Ford chose USC over the Huskies. Petersen, entering his sixth season at UW, is searching for his fourth wide receivers coach to bring to Montlake. Brent Pease was let go in 2015 after two seasons. Bush Hamdan spent one season as the wide receiver coach and left after the 2016 season to be the quarterback coach of the Atlanta Falcons (and then returned as UW’s offensive coordinator last year). Lubick was then hired to replace Hamdan as the position coach in 2017. Lubick signed a two-year contract with Washington in February 2017, earning $475,000 annually. The contract expires Jan. 31. Former Boise State receiver Kirby Moore could be an intriguing candidate to replace Lubick. Moore, a Prosser product and brother of former Boise State quarterback Kellen Moore, spent the 2015 and 2016 seasons as a UW graduate assistant coach. Kirby Moore just completed his second season as the receivers coach on Jeff Tedford’s staff at Fresno State. The Huskies did not have a receiver rank among the top 10 in the Pac-12 this season, and only Aaron Fuller (62.4 yards a game) ranked among the top 25. All of UW’s receivers are set to return in 2019. That includes regular starters Fuller, Ty Jones and Andre Baccellia, plus Terrell Bynum, Jordan Chin and Alex Cook. Three receivers redshirted in 2018 — Marquis Spiker, Austin Osborne and Trey Lowe — and UW signed one receiver during the December signing period: Taj Davis out of Chino, Calif.